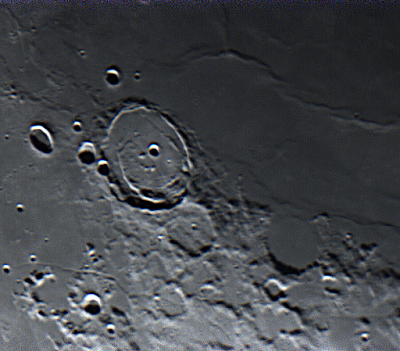 An f/5.5, 80mm, ED refractor was mounted on an iOptron Cube, AZ, GOTO mount. 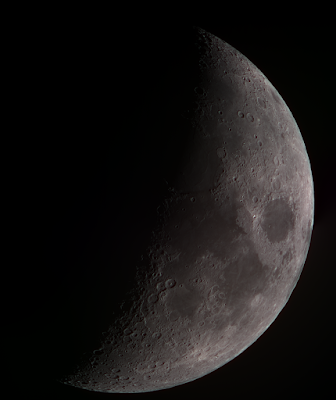 A DMK camera was placed at the prime focus and two, 2000 frame SER files were captured of overlapping halves of the Moon using AstroDMx Capture for Linux. 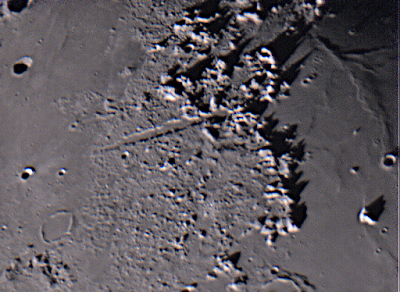 The best 50% of the images in the SER files were stacked in Autostakkert! 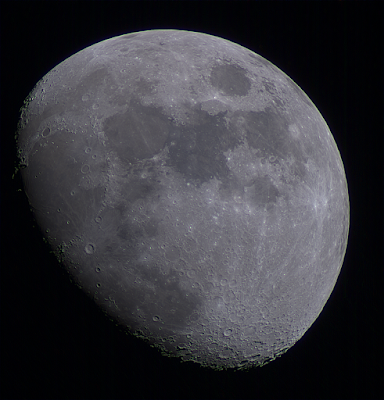 2.6, stitched together and then wavelet processed in Registax 5.1 in Wine. The final image was processed in the Gimp 2.9. Click on the image to get a closer view. 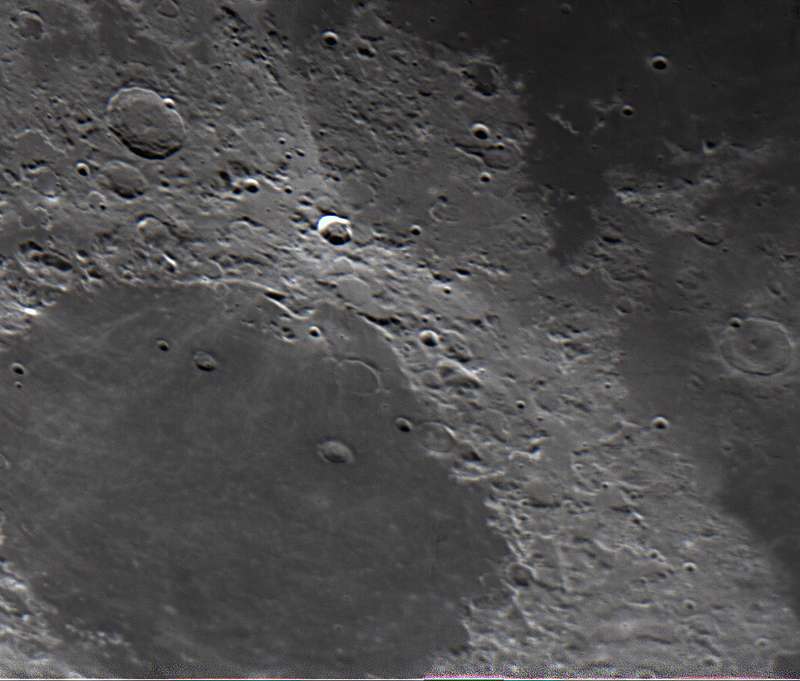 I used my 102 refractor at f/11 with a 4 times Barlow on my watec camera. 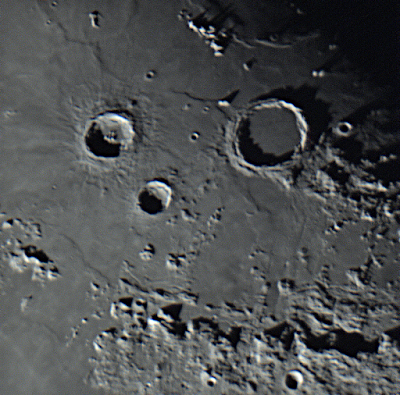 A ZWOASI120 MC camera was placed at the prime focus of an f/5.5, ED, 80mm refractor. 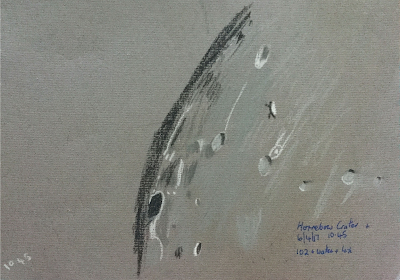 Images of two overlapping areas of the Moon were captured with AstroDMx Capture for Linux on a Linux Mint laptop. 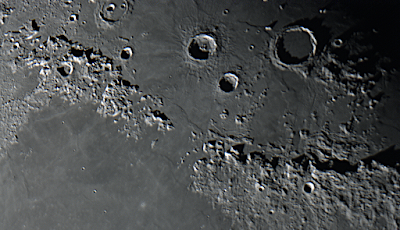 1500 frame SER files were captured of the two regions and they were stacked in Autostakkert! 2.6 running in Wine. 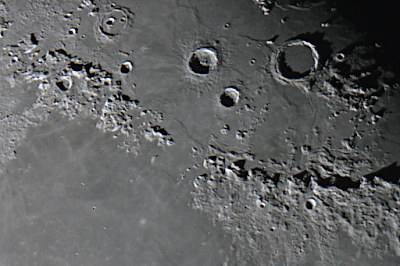 The two resulting images were stitched together with Hugin Panorama Creator. 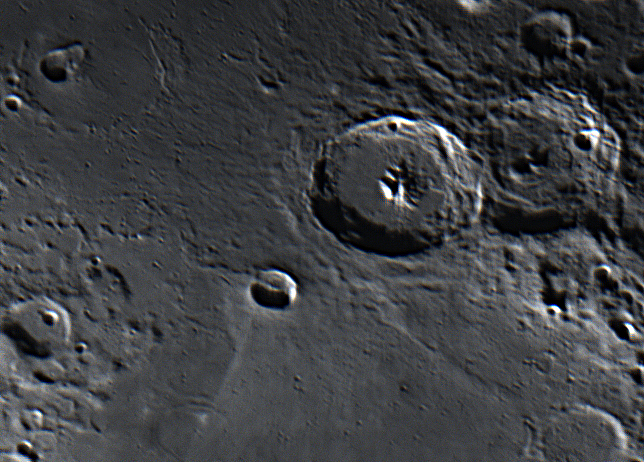 The resulting image was wavelet processed in Registax 5.1 running in Wine and processed in the Gimp 2.9. Click on the image to get a closer view. 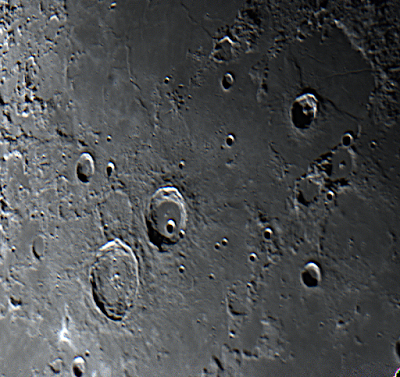 A ZWOASI120 MC camera was placed at the Newtonian focus of a 6 inch, f/5 Newtonian scope mounted on a Star Discovery, AZ GOTO mount. 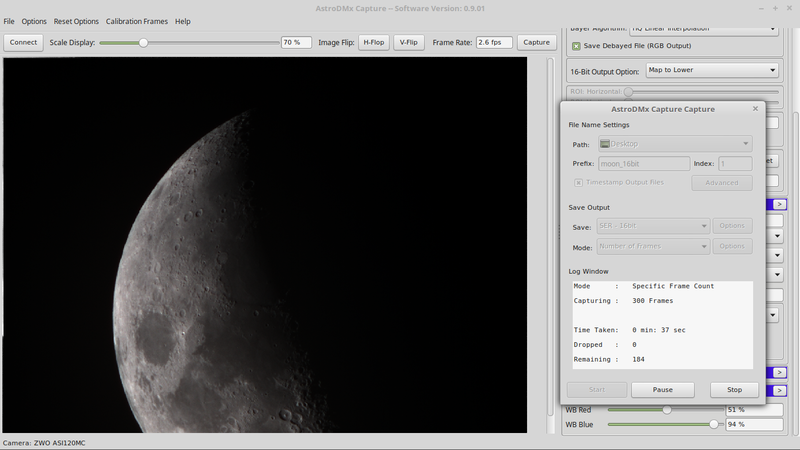 AstroDMx Capture for Linux was used to capture 6 overlapping panes to cover the whole visible Moon. 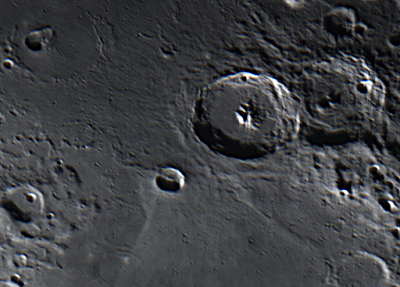 The camera was set to Y800 output. Each pane was captured as a 2000 frame SER file. 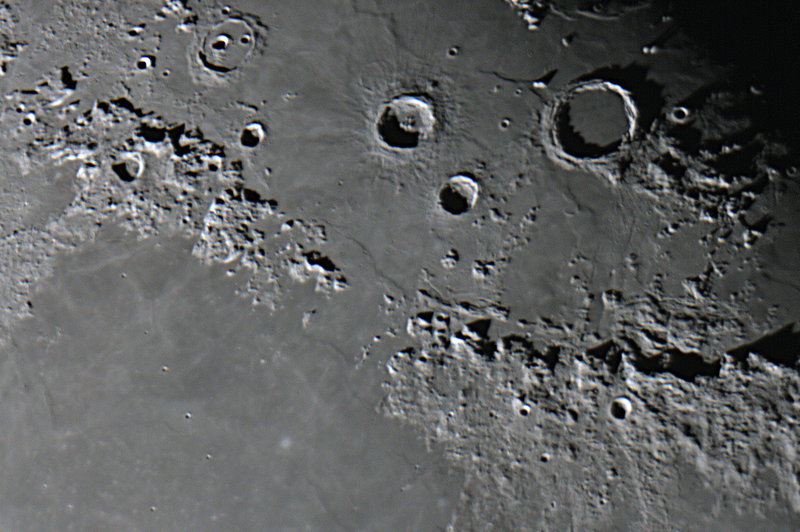 The SER files were stacked in Autostakkert 2.6, using the best 50% of the frames. 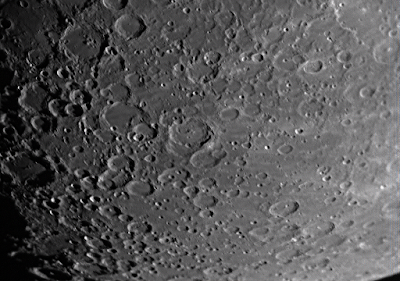 The 6 resulting images were stitched together using Hugin Panorama Creator, and the final image processed in the Gimp 2.9. Click on the image to get a closer view. 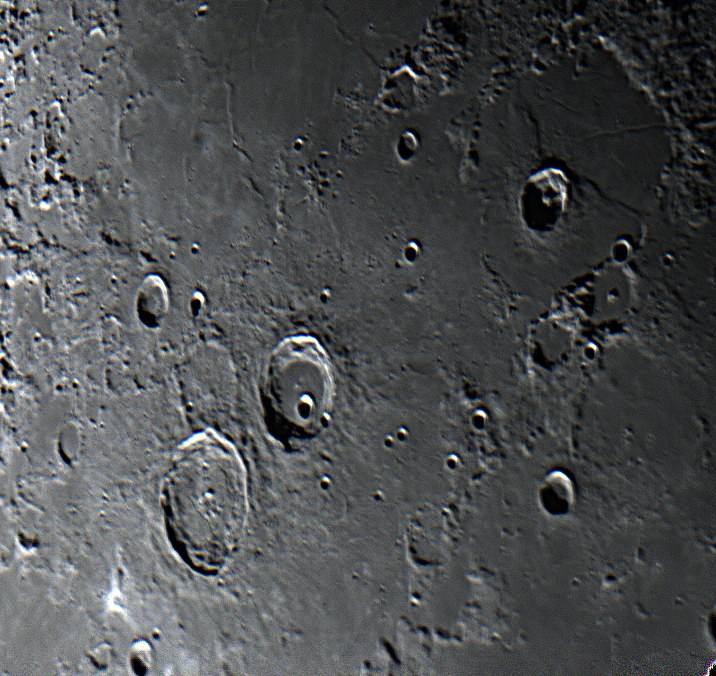 Celestron 9.25 SCT AVX, ZWO ASI120MC-S camera, about 3000 images captured in Sharpcap, 1000 stacked and aligned in AutoStakkert!2.3, wavelets in Registax 6, then edited in Adobe Elements 11. Click on an image to get a closer view. 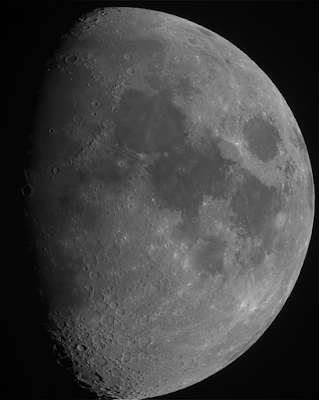 Derek Francis kindly lent us a ZWOASI120MM-S, monochrome USB 3.0, CMOS camera to implement in AstroDMx Capture for Linux. 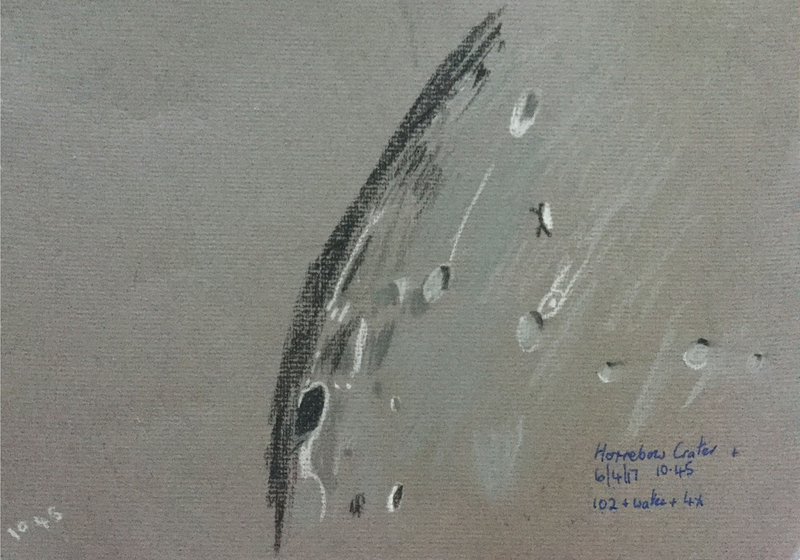 This image was captured with the camera partially implemented. 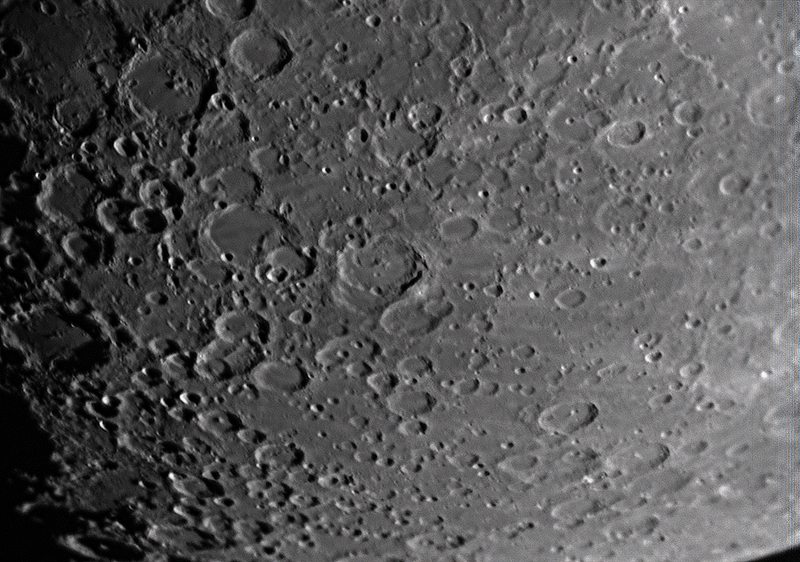 A Skymax 127 Maksutov was mounted on an iOptron Cube Pro AZ, GOTO mount with extra counterweight. 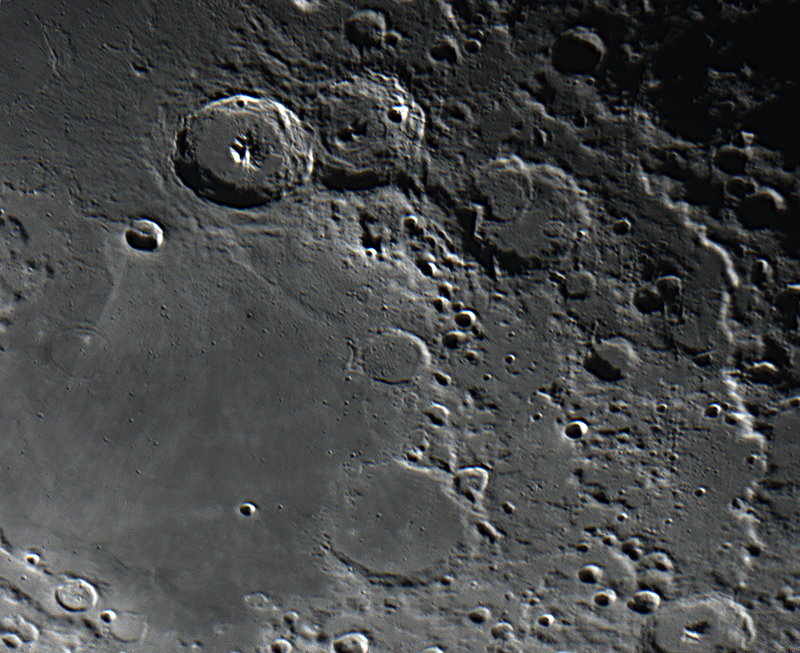 The ZWO camera was placed at the Cassegrain focus and a 2000 frame RAW 8bit SER file was captured. The SER file was stacked in Autostakkert 2.6 running in Wine, using the best 1000 frames. The resulting image was wavelet processed in Registax 5.1 also running in Wine, and finally processed in the Gimp 2.9. 2017 Yearbook of Astronomy revived. 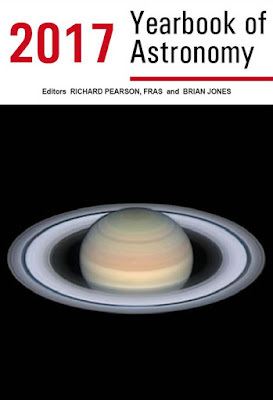 The publishers of the Patrick Moore's Yearbook of Astronomy discontinued publication with the 2016 edition. This was sad news to many people. 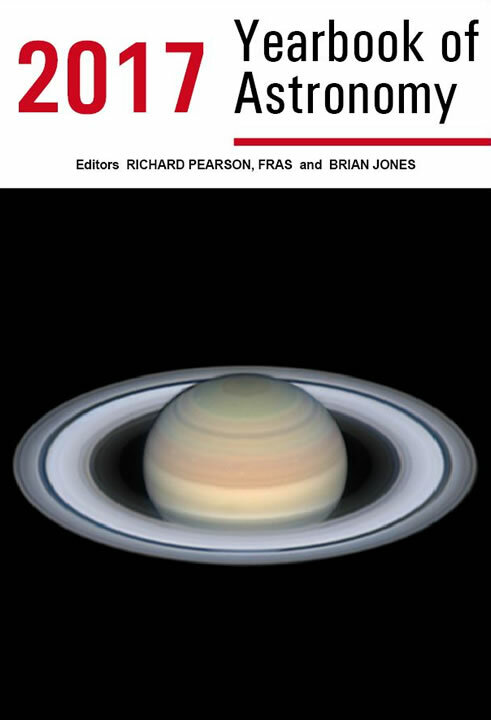 However, Richard Pearson FRAS and Brian Jones have produced a privately published edition of the Yearbook of Astronomy for 2017. 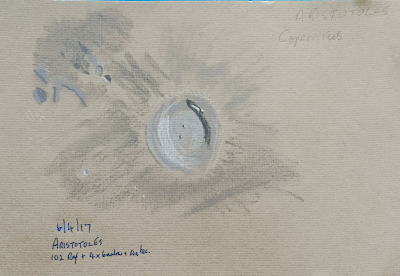 The 2017 issue is available at Yearbook of Astronomy for a modest price. This is an opportunity for you to own a copy and help with the continuation of the series. It contains a typically wide range of quality articles, including one by Damian Peach. Another Volume for 2018 is scheduled for the Autumn and I shall be contributing to this. Take a look at the link above and consider buying your copy of the 2017 Yearbook of Astronomy. 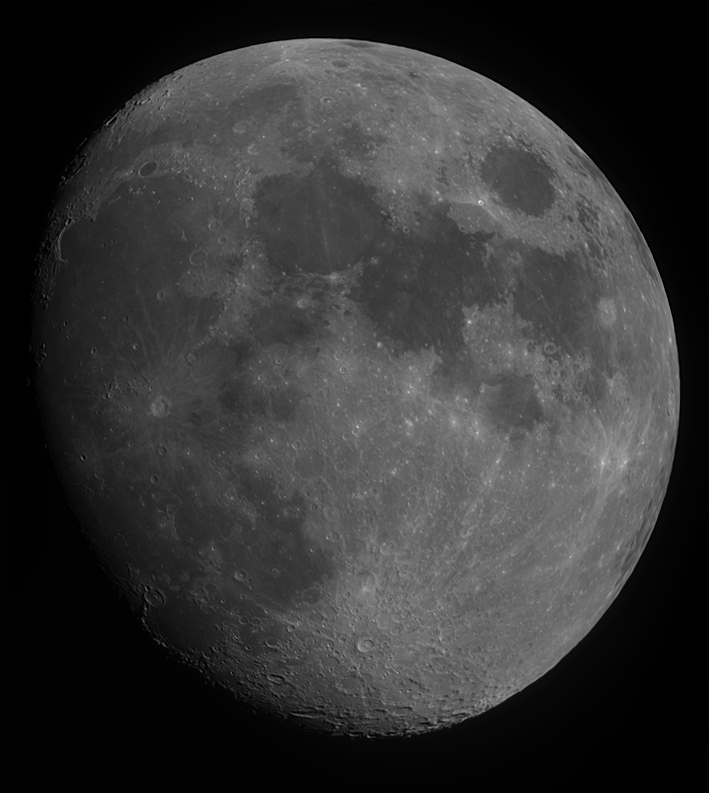 An f/5.5, 80mm ED refractor was mounted on an iOptron Cube Pro, AZ, GOTO mount. 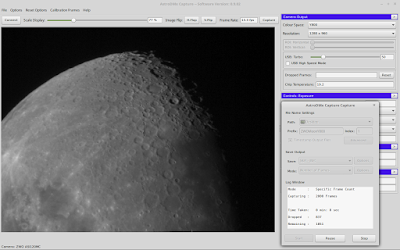 AstroDMx Capture for Linux was used to capture images of two overlapping regions of the Moon with a ZWOASI120 MC 12 bit, CMOS camera. 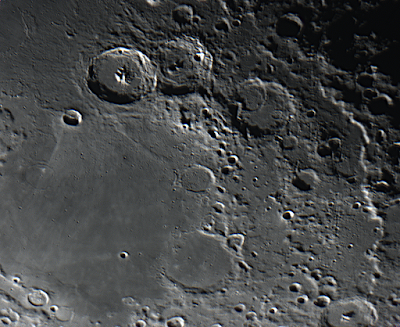 The software was set to capture 16 bit RAW data and captured the images into 16 bit RGB SER files. 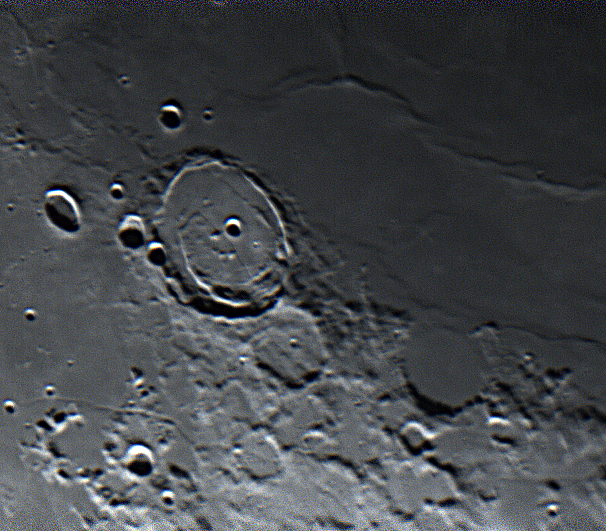 The SER files were stacked in Autostakkert! 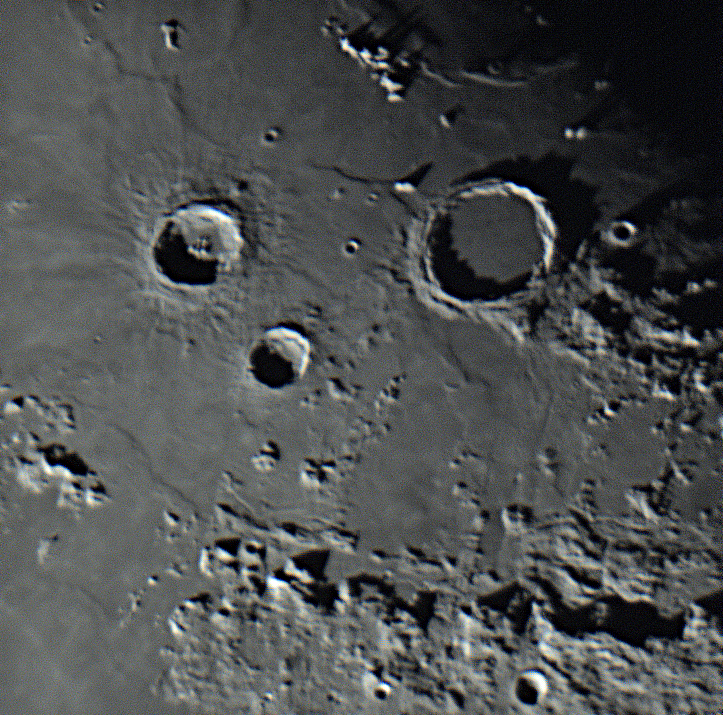 2.6 and wavelet processed in Registax 5.1, both running in Wine. 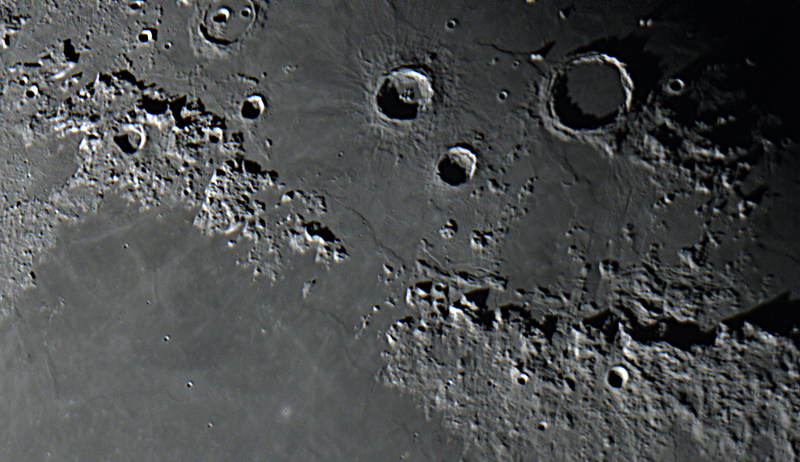 The two images were stitched in Hugin Panorama Creator, and the final image was processed in the Gimp 2.9. Click on an image to get a closer view. 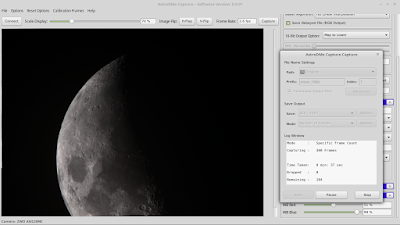 Screenshot of AstroDMx Capture for Linux capturing RAW 16 bit data into a 16 bit RGB SER file.